What a way to welcome 2018! 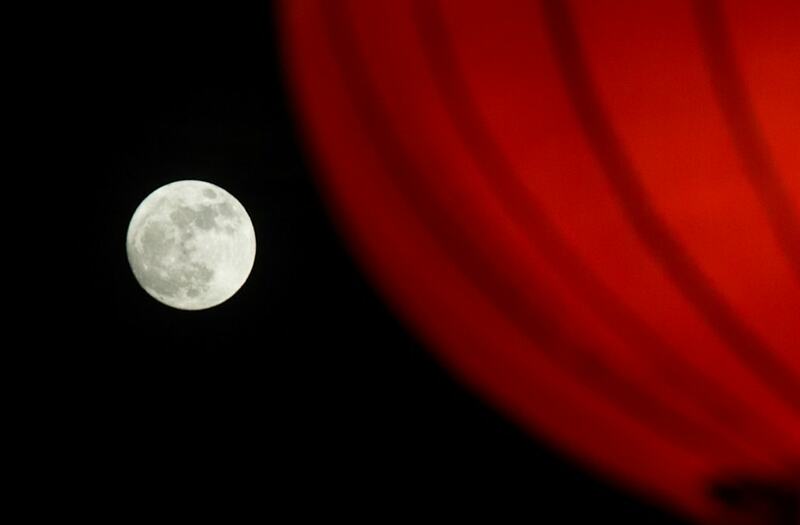 The supermoon is seen rising behind a red lantern in Beijing, China January 1, 2018. Picture taken January 1, 2018. REUTERS/Stringer ATTENTION EDITORS - THIS IMAGE WAS PROVIDED BY A THIRD PARTY. CHINA OUT. The next supermoon, which has been dubbed a “super blue blood moon,” will rise on the night of Jan. 31.